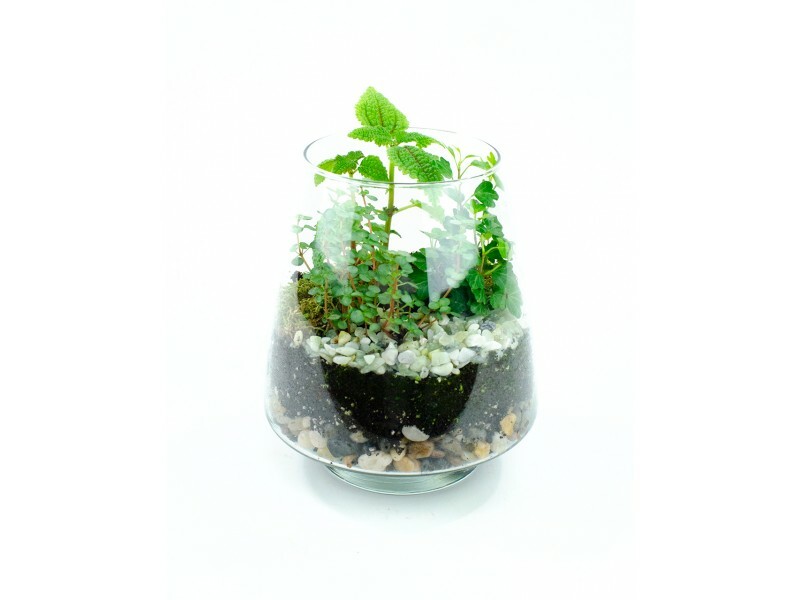 A mini eco-system in glass makes a wonderful addition to your desk or zen space. 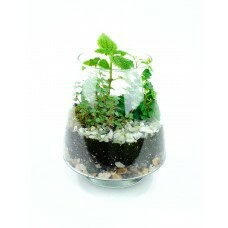 We can custom make a tranquil terrarium however you envision. It likes indirect light and may only require an occasional misting of water to keep it looking fresh and beautiful. Container Size Glass 8.5" x 5"
Due to the custom nature of this product, we can only deliver it to the Richmond, Virginia area. Container and plants may vary.